On becoming Elector in 1726, Karl Albrecht immediately commissioned his court architect, the French-trained Joseph Effner, to design an ancestral gallery. 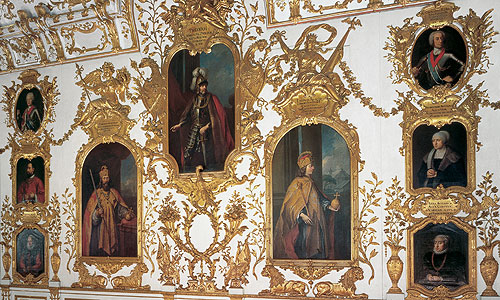 The young architect François Cuvilliés was also involved in designing the decoration of this magnificent room; Wenzeslaus Miroffsky created the gilt carving on the walls and Johann Baptist Zimmermann of Wessobrunn was responsible for the stucco-work. 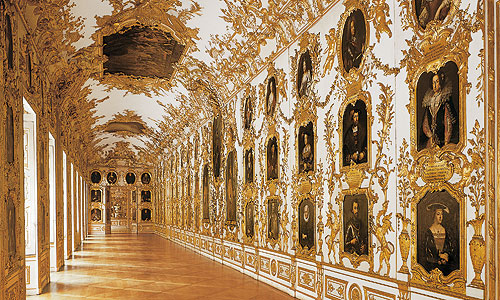 Over 100 portraits of members of the Wittelsbach family are let into the carved gilt panelling of the gallery. With the Ancestral Gallery, Karl Albrecht created a splendid monument to draw attention to the rank and connections of the dynasty. It was from this that he derived his claim to the imperial throne, which he successfully advanced in 1742. 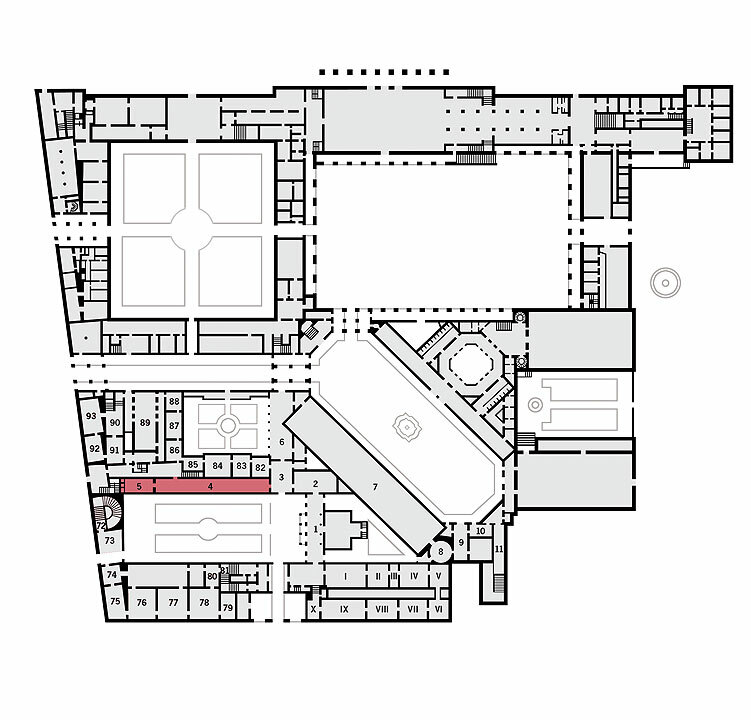 The adjacent richly decorated room was originally the electoral treasury. 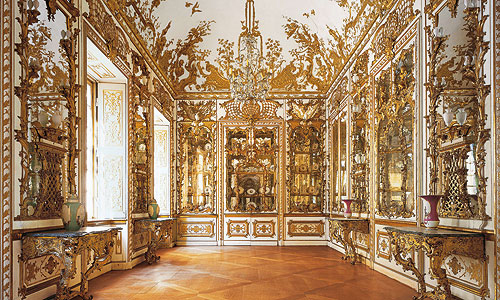 This exquisite setting was used by order of Karl Albrecht for "hereditary and personal treasures", in other words the treasures of the Wittelsbach family that were not for sale, which were effectively presented in wall-mounted glass cases with mirrors. This precious collection, which served to enhance the reputation and status of the rulers, formed an adjunct to the Ancestral Gallery, which was dedicated as a propaganda measure to the legitimation of the dynasty and its claims to power. Since the early 20th century, the former treasure cabinet of the Ancestral Gallery has been used for a selection of the Residence Museum’s internationally important porcelain collection.